Fantastic macro shot. Great background too. Great macro shot Paul and very vibrant. I have been looking for moss here and didn't think I would find any and suddenly spotted some in my garden tonight. Delightful! Needed that color! Well done. Wow that's really awesome. No signs of spring in this area yet. I guess once the 4 or 5 feet of snow melts we might see some signs of life again. Fantastic! Love that moss and lovely bokeh behind! Fantastic macro!They look like a forest!Great tones as well!Fav! Oooh, I love moss. Nice photo! It's lovely to see a sign of spring. Everyone takes pictures of historic buildings in York, but it takes a discerning eye to see and appreciate something like this. I love the sharpness, color and detail. Thanks for giving us a taste of early spring! Love the contrast between the colour of the moss and the grey background. Very good moss in York! Love the bright, happy colors. I didn't know moss set on like this in the spring. Brilliant capture - colours on the moss look amazing against the grey. @kiwiflora thank you Francoise kind words and so pleased you like it any mundane shots if the offing ? @paul2782 Yes, will be posting a couple probably over the weekend - we've had people staying with us, so not much time to be sitting in front of the PC! I might even put one up for EOTB27! Amazing macro, looks like another planet with little trees. Nicely done. @paul2782 natural of course! 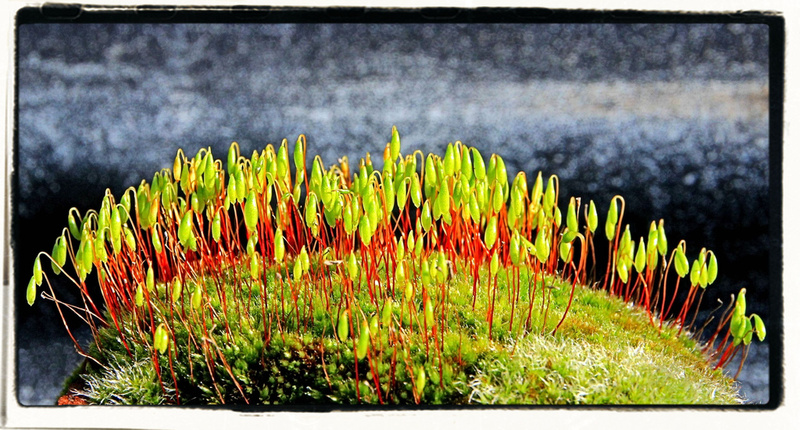 Did you see my moss @shepherdmanswife/365/2014-02-02 ? @paul2782 Paul please don't worry about the commenting. It's just nice to gave you back with us. This is gorgeous! Fantastic detail and colour, beautifully shot and presented. A fav from me! Fab shot, amazing colours and details, Paul. And it's great to see a hint of spring! Super color and detail here! @pflaume thank you so much for the fav Lisa and your comments we were meant to finish this together circumstances did not allow that but I look for your pics day to comment : did Mandy R complete and Kate ? Another fav - love moss and this is an awesome macro!